You'll notice the term "Data Scientist" isn't gender specific. To encourage more women to enter the analytics profession, Capella University, in collaboration with SAS, awarded four full-tuition scholarships to female students who start either the Bachelor's in Information Technology with a minor in Data Analytics or Master's in Analytics degree program this October. 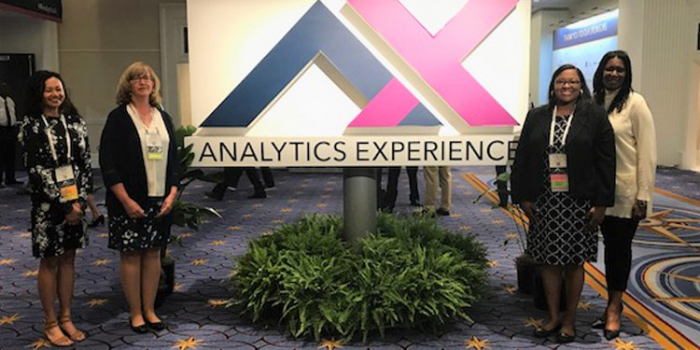 In addition to the full-tuition scholarships, the recipients were able to attend the 2017 Analytics Experience in Washington, D.C. last month. The recipients will also visit the SAS corporate headquarters in Cary, N.C. where they will network with other analytics professionals, including SAS Women's Initiatives Network, a group of 600+ female SAS employees that fosters female leadership and professional excellence at SAS and reaches into communities to empower and inspire women to pursue STEM-related careers. icrunchdata speaks with noteworthy professionals about their data analytics experience. Today, the four scholarship winners share thoughts on career goals, helpful advice and takeaways from the recent conference. 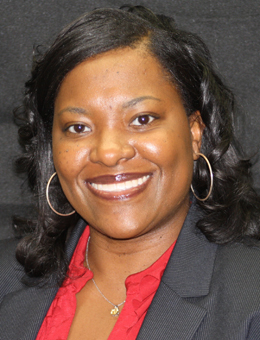 LaWanda Edwards started her career as a school counselor and later became a counselor educator in higher education. 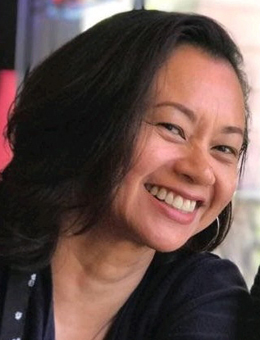 She always loved math and using technology to be an effective educator and administrator, but her interest in data analytics began about a year ago. She discovered how data can be used to identify positive and negative factors that impact student learning. She also discovered the Women in Analytics scholarship and knew this was the opportunity to start a career in data analytics. Your Goals: "To continue working in higher education and help students in the P-12 and higher education settings. This scholarship will not only help me to gain the knowledge and skills needed to help students, it will also help me to receive the mentorship from SAS needed to successfully implement what I learn at Capella University." Biggest Takeaway from Analytics Experience 2017: "I really enjoyed the conference. I saw how data analytics can be used in educational and business settings. My biggest takeaway was the wide use of data analytics and how it can positively impact the world. I am looking forward to working with my data colleagues to make a difference in the world." Advice for Women Pursuing a STEM-related Career: "Become unstoppable, and do not allow anyone to tell you what you cannot do. 'Be that girl who wakes up with purpose and intent. Be that girl who believes anything is possible and is willing to work for it.' (Author Unknown)"
Topics that Interest You Most: "I am interested in using analytics to help schools identify effective teaching and counseling techniques, especially when working with minority students in the P-12 settings. I am also interested in working with professionals in higher education to identify at-risk students and proactively work to retain students in colleges and universities." 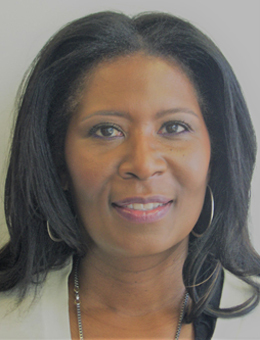 Natalie McCants has been an active member of the tech community for more than 25 years focused on the sales of various technology platforms across multiple industries, including business development, account management, outsourcing and consulting. Currently, she is focused on building business solutions for clients in the areas of business transformation – digital as well as increased awareness of the customer experience using data analytics to form better insights for improved business outcomes. Your Goals: "To build additional credibility in a field of extreme importance to the future of how we interact with technology, business and our customers (external and internal). This scholarship will assist me in advancement within a still nascent area with skillset shortage and opportunity abundance within the tech industry." Biggest Takeaway from Analytics Experience 2017: "I have attended many conferences over the years, and this one ranks at the very top of the list. The content was relevant as well as current. The content allowed for real-time interaction with leaders in the field of analytics. Most importantly, the atmosphere was friendly and engaging while at all times allowing for intellectual growth without being stuffy." Advice for Women Pursuing a STEM-related Career: "Stick with it despite the obstacles and treat every challenge as an opportunity. This is a great field for economic and personal fulfillment." Topics that Interest You Most: "As a result of attending the SAS Analytics Experience, I have become very interested in the emerging technologies of artificial intelligence. Particularly, the subcategories of deep and transfer learning as well as IoT and security." Jahna Lindquist has a passion for making connections and doing good. After graduating with a double major in mathematics and German, she held positions as an environmental scientist, research analyst and middle school math teacher/interventionist. Now, she consults as an evaluator of school/student performance for a charter school authorizer. The connection between all her roles is data analytics: monitoring conditions and using data to inform a course of action. She applied for this scholarship after finding herself in career transition for the third straight year due to budget cuts and contract nonrenewal as an interventionist. Winning means that she will be able to complete the program on time and with the support of the many people who made the partnership between Capella and SAS possible. Your Goals: "To be part of something that is for the good of my community and provides opportunities to others, and to accomplish this goal using data. This scholarship makes my career transition from classroom educator to data analyst entirely possible. Without it, my plans would just be on paper and not my current reality." Biggest Takeaway from Analytics Experience 2017: "I was impressed by the caliber of the presenters and representation of so many industries. Frankly, data analytics types are just good people. I have several takeaways: 1) You can’t be what you can’t see. (Reshma Saujani) 2) Have a strategy and a plan and bring others along with you. (Magic Johnson) and 3) All data have a story to tell – you are its voice. Don’t stop with the numbers. (Megan Poole, “Tools of the Trade”)"
Advice for Women Pursuing a STEM-related Career: "Be curious and experience new things: try coding, build something or take something apart, figure out how things go together. The more experiences you have, the more opportunities will become available to you. Persevere and know that each skill is something to develop with practice over time." Topics that Interest You Most: "I was really fascinated by the IoT applications [during the conference], and it’s exciting to see the possibilities that others are already implementing. I will also be following the developments of the GatherIQ application. I think that taking advantage of the crowdsourcing availability and interaction is a great opportunity to connect people." 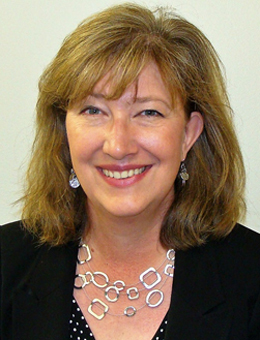 Danna Keller is a US Navy Veteran with a background in Computer Information Systems and Health Information Management. She works for the VA in Las Vegas as a Program Analyst, analyzing data for clinical programs to ensure facility workload is captured accurately to maximize funding and reimbursement. She's always been interested in process improvement. However, it’s her current position that peaked her interest in analytics. Through data analysis, she is able to improve processes and visually present information, which allows leadership to make business-intelligent decisions. Your Goals: "To improve healthcare for my fellow veterans; to improve clinical outcomes and increase access to care. I believe learning about data mining big data and visualizing the information will help drive change." Biggest Takeaway from Analytics Experience 2017: "The conference was an enlightening experience. It opened my eyes to the possibilities for changing and improving our world using analytics. My biggest takeaway is that I can influence change by helping leadership make data-driven decisions through analytics." Advice for Women Pursuing a STEM-related Career: "I have my faith in God, so I live my life for an audience of one. That helps me not to worry, to trust and let go of fear. My encouragement for young ladies is to have a purpose. Make sure that their goals line up to meet that purpose. Be strategic about the activities you participate in. Because distractions happen and can take you off your path. Seek out mentors to learn from, and be a mentor, to encourage others. Pay it forward! Tune out all the negative voices that take away from your goals. When self-doubts creep in, learn to encourage yourself." Topics that Interest You Most: "1) Data mining because this will be the tool I use the most to gather the data I need to help make improvements. 2) Visual analytics because it’s necessary to present the data into useful information. 3) IoT as edge devices are the technology that will be used the most for capturing and processing data. I need to get a better understanding of how to capture that information through data mining." Congratulations to the four scholarship winners. We appreciate you speaking with us and wish you much success.